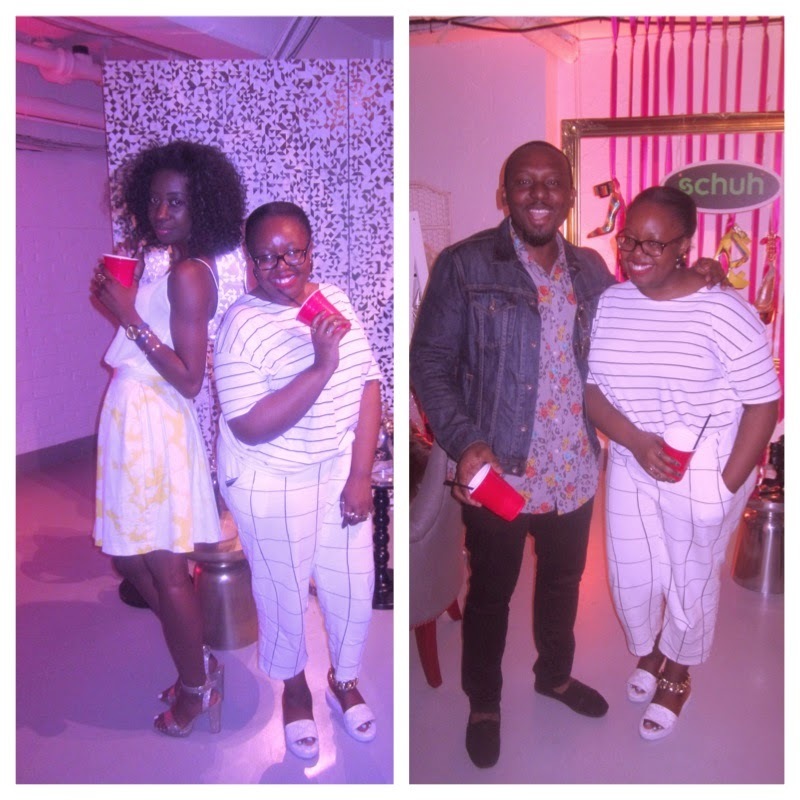 Schuh proved last month that they know how to throw a good ol house party with the helping hand of wonderland events. 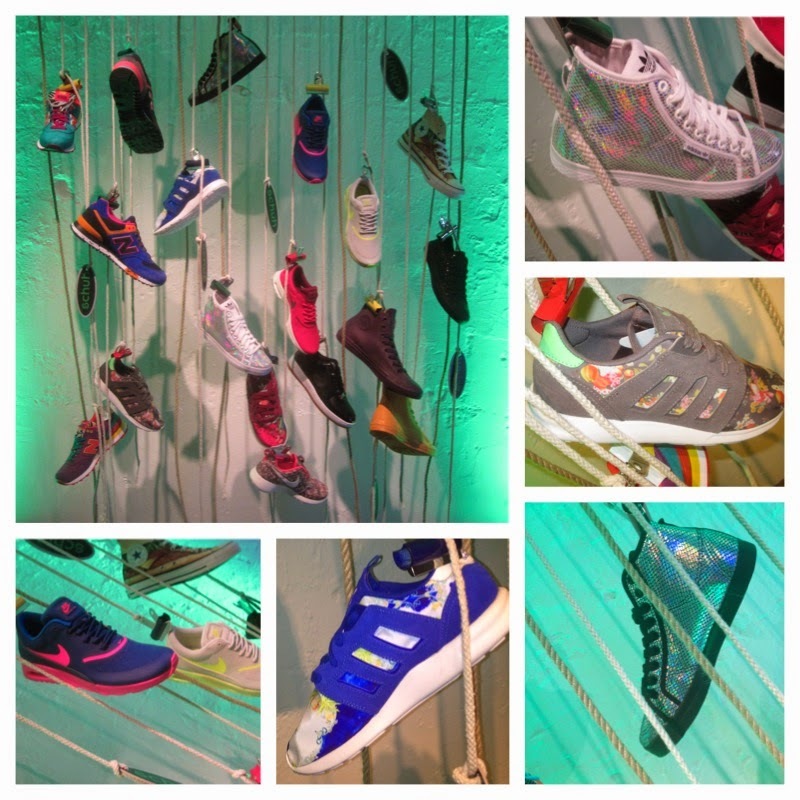 They transformed a big white space at the Vinyl Factory in London Soho into a themed frat party for the preview launch of the new AW14 collection. 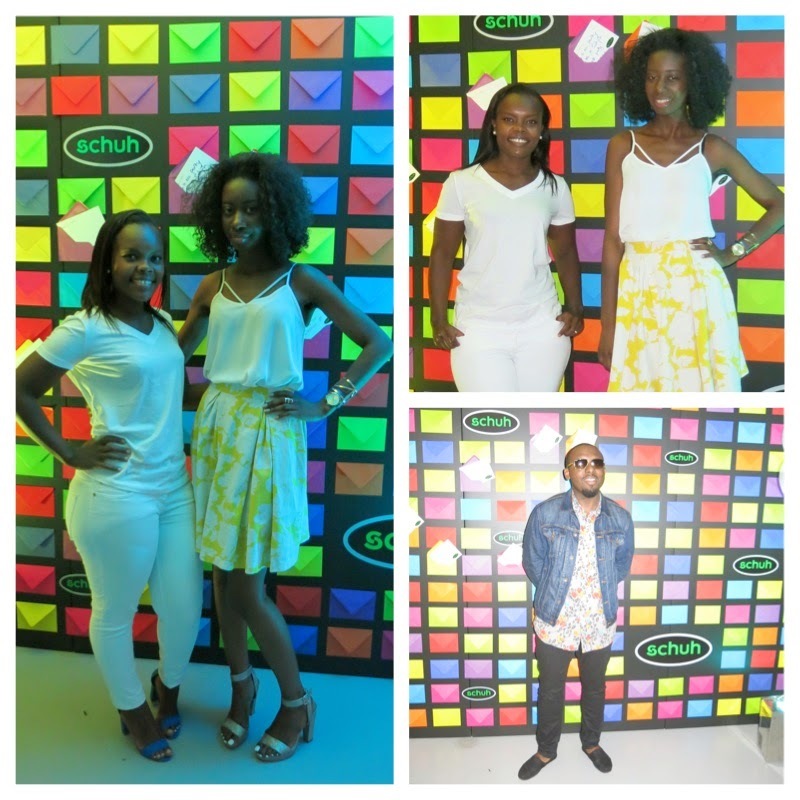 I attended with friends Maureen & Femi and before we stepped into the party we got distracted by a wall of colourful envelopes. Perfect backdrop for a photo sesh. Music filled the air by Dj Myme. Who got the people grooving with a selection of high quality old school jams. 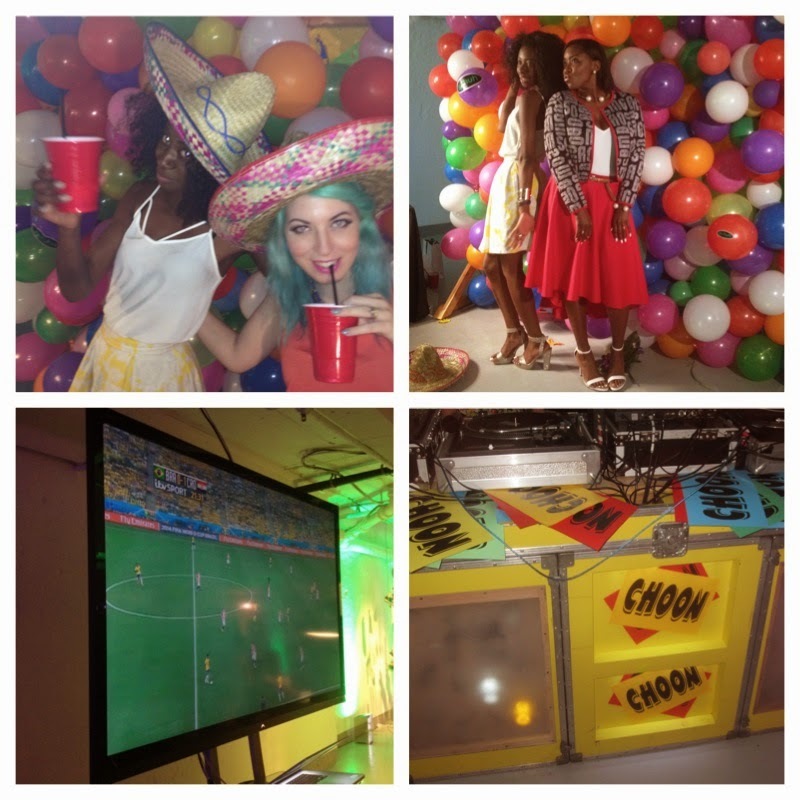 There was so much to keep us entertained with a ballon wall photo booth (with the most hilarious camera man snapping away), face cube photo booth (yes you read right there was 2 photo booths), interactive dj (where you could learn a thing or 2 on the decks) games tournament including beer pong, party games such as twister and World cup screening of England Vs Italy. Myself & Femi with Jen Electro. 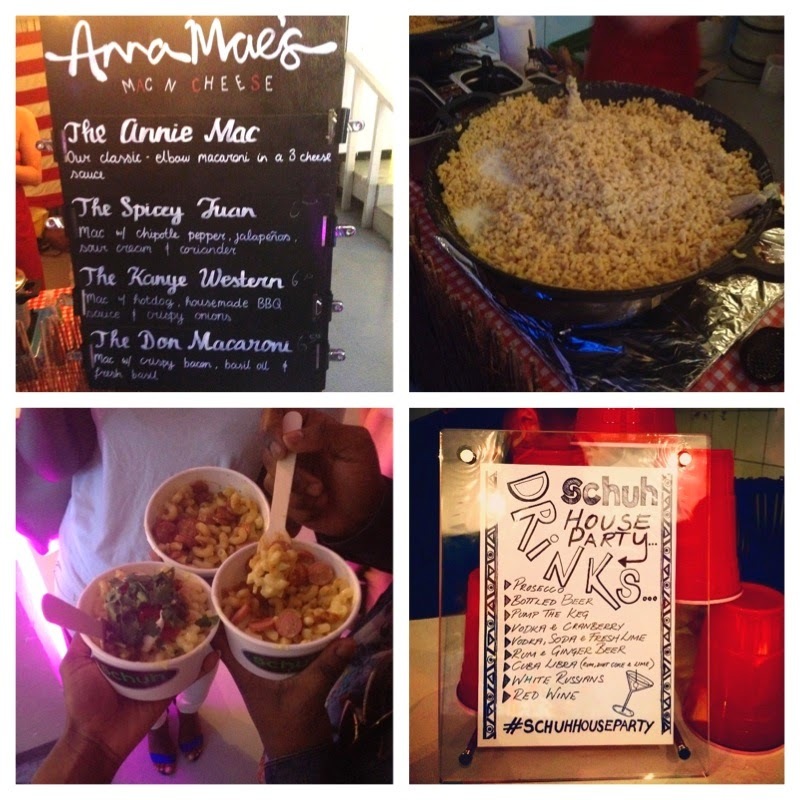 For a good measure there was food by Anna Maes Mac & Cheese which tasted great. I went for the Spicy Juan & Maureen and Femi opted for The Kanye Western. What's a frat party without drinks in red cups? (oh how american) The bar served a good selection of drinks to get us in the swing of things. 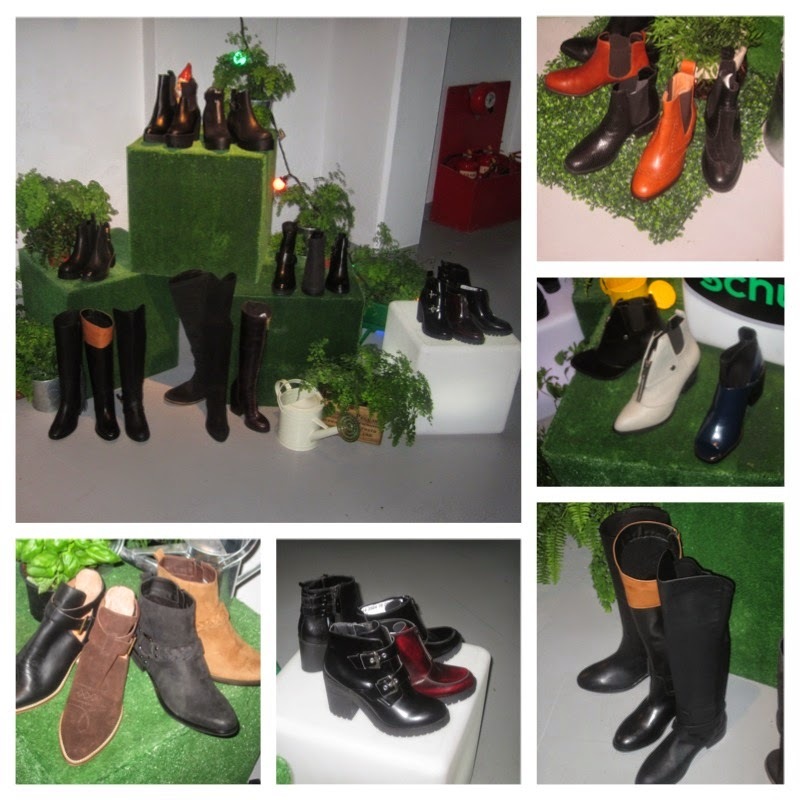 There was 6 sections in total showcasing different parts of the Schuh collection which included party heels, casual shoes, mens shoes, & wintry boots which was nestled in a bed of greenery and plants. 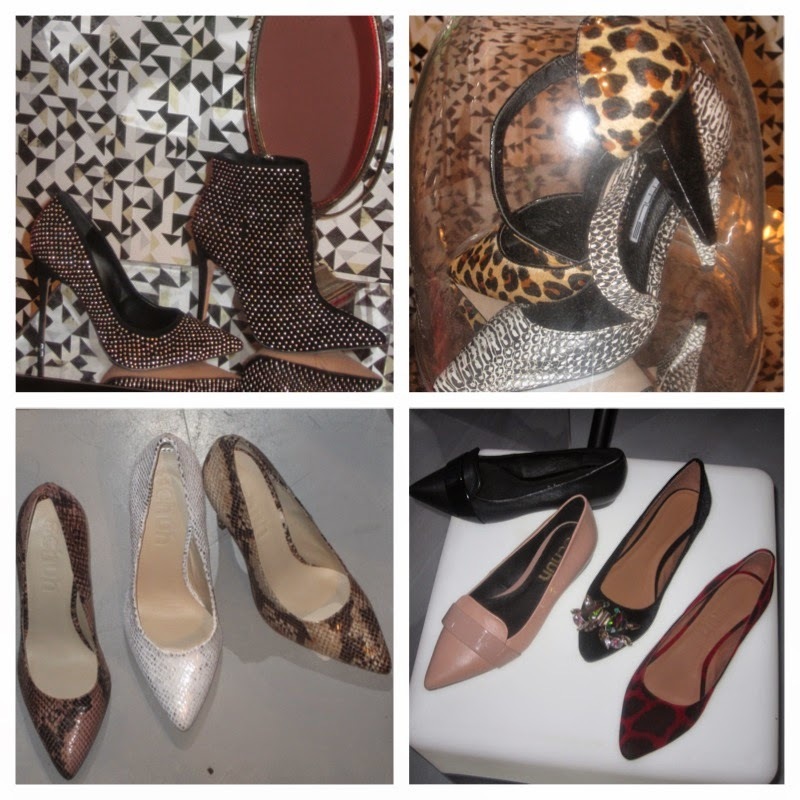 The key trends were studs, animal print,snake print, glittery slip ons & tassel loafers, buckled menswear inspired shoes, pointed flats, chunky gold disco heels, leather heeled sandals to name a few. I loved the shoes from the boudoir section & casual shoes. 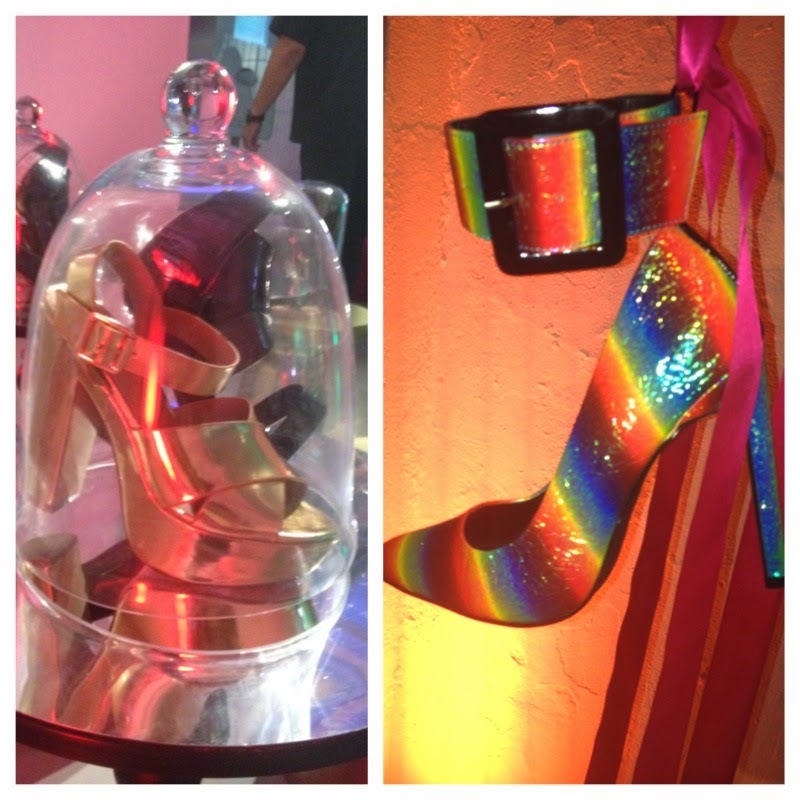 So many caught my eye from studded gold booties, snakeskin heels and rainbow heels adorned with a big buckle strap to the holographic adidas hi top & printed graphic trainers.